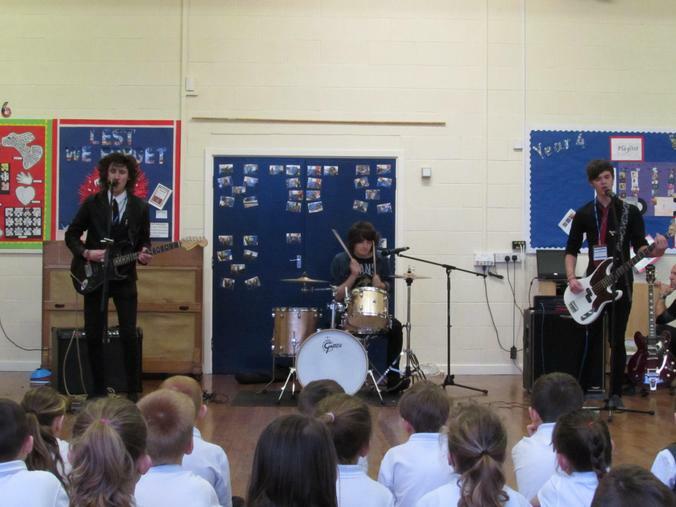 Children inspired by Rock Sensations! 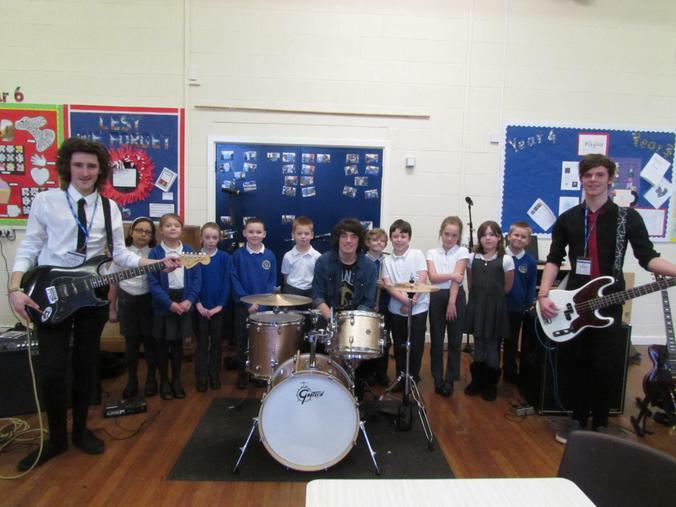 The children from the year 3 and 4 classes had a treat this week with a special visit from Spilsby based band ‘The Rogues’ who came to perform for them to kick start their new topic ‘Playlist’. 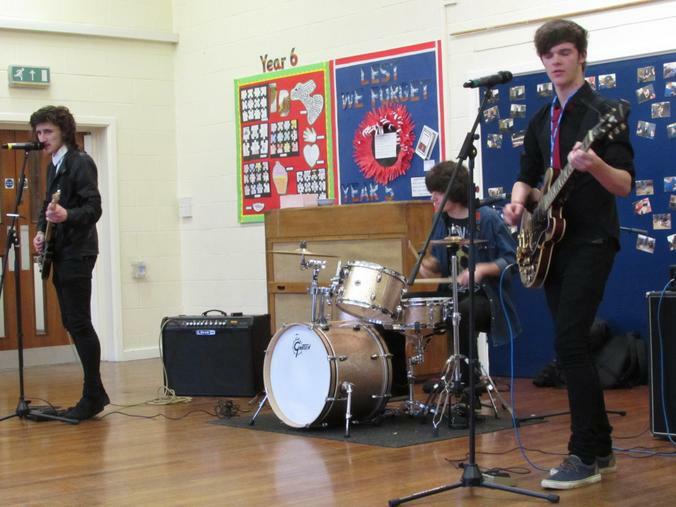 The curriculum is now very much topic based, and the children have come back to school after the Christmas break with enthusiasm to start their new and exciting topic based on music from the 20th century. 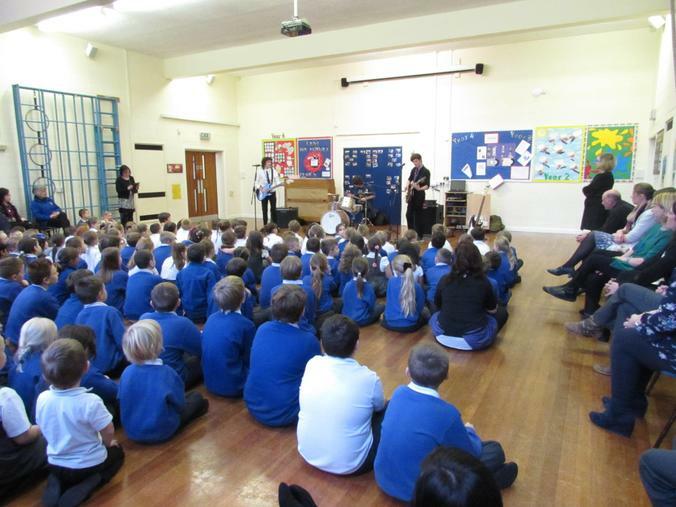 The Rogues have now inspired the children in their learning and during the course of the term, the children will be looking at how sound is produced and making their own instruments. 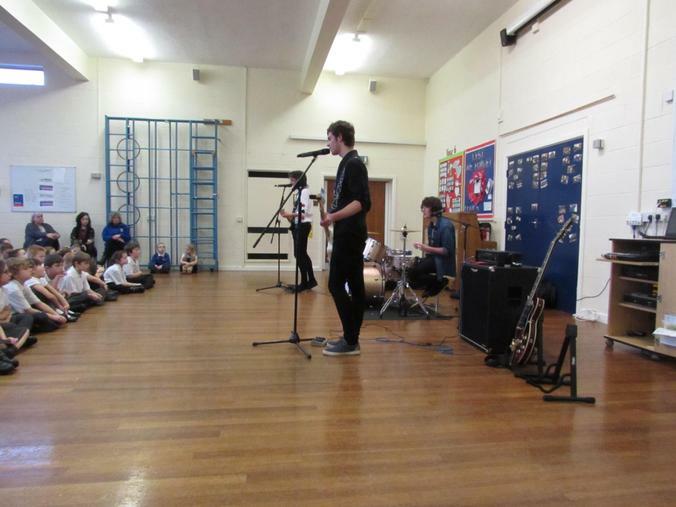 They will listen to and appreciate a range of genres of music and create their own music inspired artwork, as well as writing their own song lyrics and composing their own music. 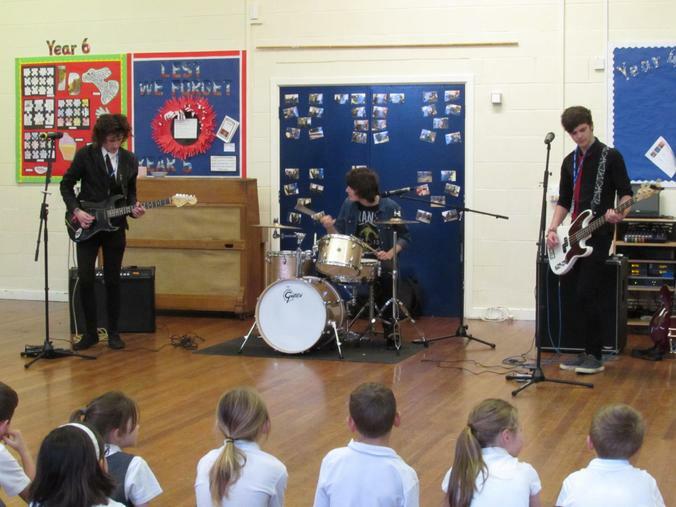 The rest of the school were keen to see the band, so joined to watch. The reception children went back to class to their outdoor area and were keen to make and play their own instruments. 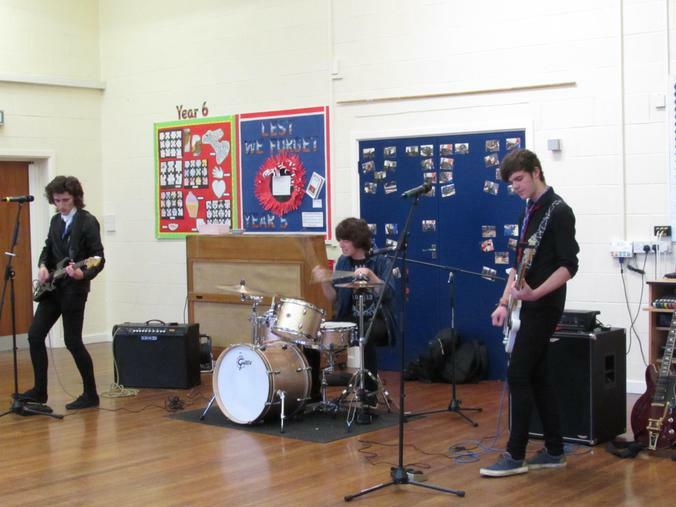 The Rogues, consisting of Alex Martin, Sam Dawson and Alex Rossiter who are ex pupils of Spilsby Primary, came back to their roots to perform their own music and spend time with the children showing how the different instruments work and how different sounds can be produced. 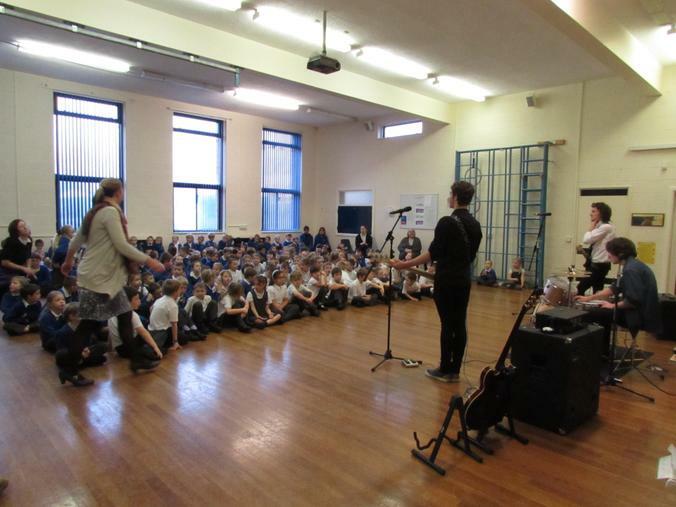 They gave the children copies of their current EP ‘1 of 1’ and explained to the children how it was produced, from writing the music and recording the music at the Playing Aloud studio in Lincoln, to the final printing of the CD’s. 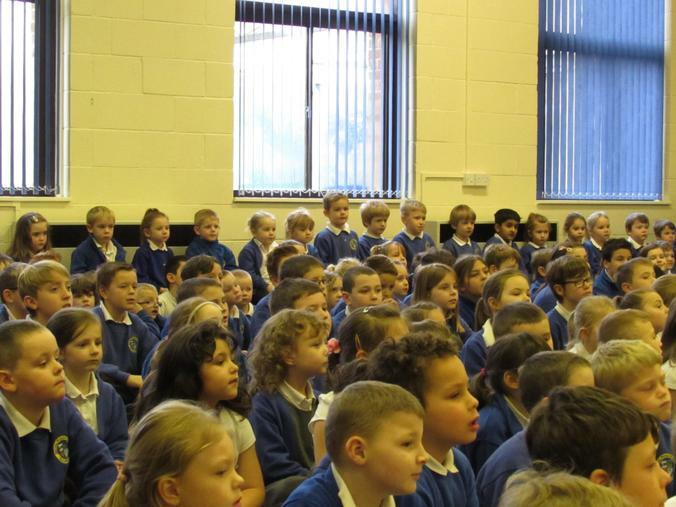 “The children had a brilliant experience and were captivated by the performance. 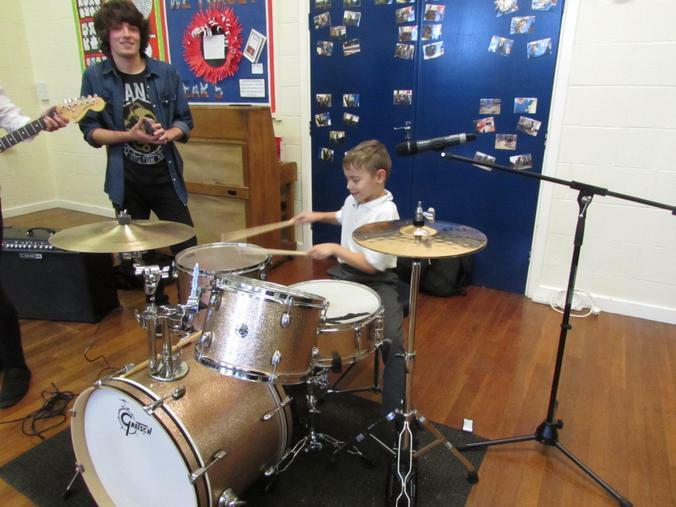 It created lots of excitable discussion between the children, who are now making plans to learn to play instruments and are inspired in their learning in class”, said Mrs Roberts, year 3 teacher.